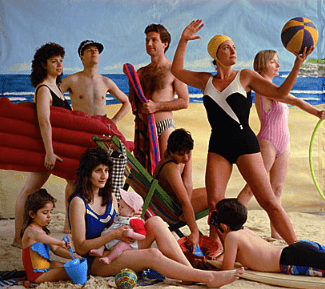 Anne Zahalka’s renowned ‘The Bathers 1989’ is currently being exhibited in LEGACY. Your Collection. Our Story. at the Monash Gallery of Art. The LEGACY collection celebrates the impact benefactors have had on the development of one of the nation’s most unique and important collections. It showcases over 140 works by some of Australia’s most significant photographers including Carol Jerrems, Max Dupain, Bill Henson and Polixeni Papapetrou. The exhibition will on until 19 September 2018.